Sun pours through the diamond panes of hundred-year-old windows at the Timrod Library in Summerville, South Carolina. Footfalls on the worn hardwood floors create the occasional squeak, as a visitor peruses the bookshelves, hunting down a murder mystery. At the front desk, another patron is checking out a book. There’s a soft “thunk” as the librarian stamps a date on the card, slips it into a pocket inside the back cover, and holds out the book. In the children’s section, a mother and two little boys browse through picture books. “Look! I want to read this one, Mommy,” says a small voice. Just beyond the red brick fireplace and its patterned hearthrug, library director Cindy Koontz sits at her desk answering emails. Bells chime from the Methodist church across the street, serenely marking the hour: one o’clock on a quiet Thursday afternoon. On another day, the library crowd is standing room only. After a presentation by a local author, the high-ceilinged rooms reverberate with the conversations of happy book lovers. Library volunteers fill cups from a crystal punch bowl, serving those waiting in line to get books autographed. The line winds past bookshelves displaying well-worn classics and shiny new releases, as well as the wooden card catalog, still in regular use. On this busy Sunday afternoon, Cindy makes her way through the throng, handling details of the event, part of the Timrod’s Southern Author Series, and greeting visitors by name. 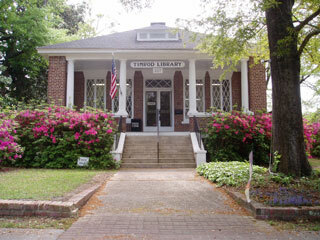 The Timrod Library has been a fixture on Central Avenue in Summerville, South Carolina, since it was dedicated in 1915. The building is on the National Register of Historic Places, and is one of two membership libraries still in operation in South Carolina. The 102-year-old Timrod Library is on the National Register of Historic Places, but it is much more than a period piece. On quiet days and busy ones, it’s a gathering place for the community. The library is a historic hub in Summerville—a town that became popular in the 1800s as a place where residents of nearby Charleston could escape the heat and enjoy the reputed health benefits of Summerville’s many pine trees. Cindy and a part-time staff of two work with a board of directors and a cadre of volunteers to operate the library six days a week, plus occasional weekend events. Cindy has been the library director since 2013. She became a volunteer at the library soon after moving to South Carolina from Maryland in 2000. Her love for the library, and for those who keep it running, is evident. “We really have a working board,” she says, adding that the board members show up for much more than the regular meetings, as important as those are. Board members also pitch in for manual labor, like power washing the front steps, mowing grass, setting up chairs, and cleaning up after events. Southern Author Series is a big yearly event for the Timrod, one for which Cindy, the board, staff, and volunteers spend many hours of planning and effort. 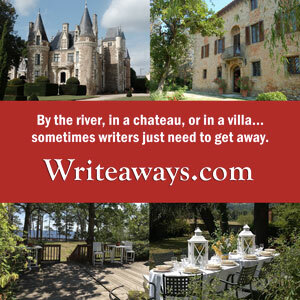 Two authors are featured in the program taking place this month. At one event, Cassandra King will discuss her writing and the work of her late husband, Pat Conroy, author of The Great Santini and many other novels with South Carolina connections. On another day, Michelle Moore will be the Timrod’s featured writer. She is the author of The Cigar Factory: A Novel of Charleston, historical fiction about black and white workers in the early twentieth century. Brian Hicks, author of several books including Toward the Setting Sun: John Ross, the Cherokees, and the Trail of Tears, was part of last year’s Southern Author Series. Also a columnist for the (Charleston) Post and Courier, Brian calls the Timrod Library a “cultural resource” for Summerville. The library is an important feature of the town, but it is not part of the county library system. 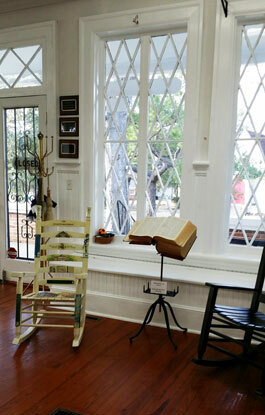 It is a nonprofit and raises funds to maintain its collection of books and their historic home. Author lectures, barbecues, book sales, and other events serve as fundraisers and create opportunities for community gatherings. Library memberships are another source of funding. The distinctive diamond-paned windows of the Timrod Library let in the sunshine from the front of the library facing Central Avenue in Summerville, South Carolina. Although the library has three wings, built as much as seven decades apart, the design of the original windows and brickwork was carefully re-created to keep the library’s appearance as faithful as possible to the original design. The Timrod is a subscription library, meaning patrons pay a yearly fee for library privileges. Subscription libraries, forerunners of public libraries, have been around since Benjamin Franklin created the first one in the United States in 1731. These libraries were once fairly common across the US; now only twenty are still in operation. 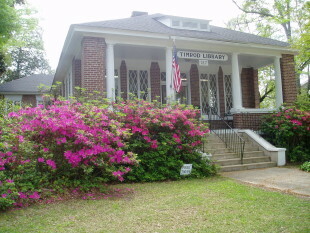 The Timrod is one of two subscription libraries in South Carolina. The other is in nearby Charleston. At the Timrod, members pay $15 yearly for a household membership, which includes book-borrowing privileges, discounts for ticketed library events, and many reading programs, like book discussions and children’s story hour, at no additional cost. The library has been providing books and gatherings in Summerville for more than a century. It began in 1897 with nineteen women who formed a reading circle, inspired by the Chautauqua movement. The Chautauqua Literary and Scientific Circle is a national society, founded in 1878, when higher education opportunities for women were limited. The Summerville reading circle and its collection of books grew into a lending library, which then became a membership library. On April 23,1908, the library was incorporated and chartered as the Timrod Literary and Library Association. The association began raising funds to build what would be the town’s first library. The town of Summerville donated the land, and the library association raised funds and obtained donations of material and labor from local businesses. The first wing of the library was dedicated in 1915. The library grew, supported and funded by subscriptions, charitable donations, and community events. Ice cream socials, bake sales, horse shows, and craft bazaars all played a part in funding library operations, including expansions in 1927 and 1985. Minutes of the library association and other historical records reveal the path of the Timrod through landmarks of American—and Summerville—history. In the 1920s, the library received a donation from the Carnegie Foundation, which gave money to create libraries all over the nation. During the Great Depression of the 1930s, winter hours of the library were curtailed by the limited amount of coal available to heat the building. The library also became a beneficiary of the Works Program Administration, which provided workers to help staff the library and catalog the books. During World War II, the library building housed the local chapter of the Red Cross. In 1949, the minutes of the Timrod Literary and Library Association recorded the establishment of a small branch library across the street—the George Washington Carver Library—for the town’s African-American residents. The Timrod Association paid to refurbish the building, supplied books, and paid the librarian, but the two libraries— like the town and much of the nation— were segregated for many years. Now, the Timrod is open to everyone. 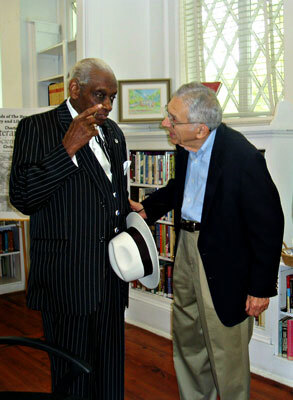 Rollins Edwards (left) and Tim Rodriguez, a past president and longtime member of the Timrod Library board, share stories at the Timrod’s centennial celebration in 2015. Rollins Edwards, a long-time African-American resident of Summerville, remembers the Carver library and attended the segregated schools of the time. Cindy remembers Rollins’ first visit to the library, the day he also became a library member. Decades before that visit, Rollins became the first black citizen elected to the Dorchester County Council and served on the Summerville Town Council as well. Until the Summerville branch of the Dorchester County Library was constructed in the late 1970s, the Timrod was Summerville’s only library. Now both libraries serve the community in ways that are complementary, rather than competitive. The objective of the county library is to provide access to as many people as possible, and it houses many more books and resources in a larger space. The Timrod provides access on a smaller scale, in an incomparable setting, with a focus on preservation. Subscription libraries like the Timrod often house specialized collections. Here, the specialty is in preserving history: the historic building as well as historical books, both local and regional, including more than 700 volumes about the Civil War, donated by a library patron. The library’s newest wing houses the reference section and some of its oldest books. Though decades newer, the shelves, windows, and floors in this room are a near-perfect match to the older portions. Many of the books here are bound in subdued shades of red, green, gold, and brown, some embellished with curling gold letters. Most are fabric, but some are leather. One tall shelf is full of books whose spines are marked with shiny golden tags. Cindy explains these, the “Gold Collection,” were all published earlier than 1930. Many are from the nineteenth century, and others—not displayed—are even older. 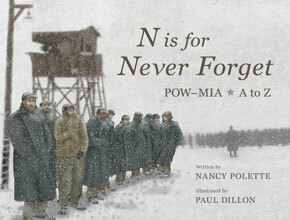 They are not just books about history. Each is a piece of history, recorded and preserved in the words of those who lived it. Reference books cannot be checked out, but a large wooden table and chairs are provided for the use of studious visitors who wish to explore the collection. The collection is eclectic, reflective of the region. An early edition of W.E.B. Du Bois’ 1903 seminal work of sociology, The Souls of Black Folk, is shelved not far from the works of the poet laureate of the Confederacy, Henry Timrod. Timrod, the library’s namesake, was a nineteenth century poet born in Charleston, who is believed to have spent time in Summerville before his death from tuberculosis at the age of 39. He wrote poems about nature, the brevity of life, and the depredations of war, as well as the ode that became the South Carolina state song. His work had another musical moment in 2006, when Bob Dylan borrowed some of Timrod’s words for his album Modern Times. Critics disagree over whether it was homage or plagiarism, but either way, Henry Timrod rubbed elbows with another laureate who turned out to be of the Nobel variety. To some, the Timrod Library might seem like an anachronism, with its card catalog, its membership requirements, even its name. Some of its historic books, valuable when read for their context, express scientific or social views that have been disproved or disavowed in the intervening years. Yet, these difficult chapters are no less worthy of preservation. The present meets the past every day at the Timrod Library, like neighbors meeting one another on the sidewalk. New residents, curious about the history of both the town and library, mingle among the bookshelves with longtime residents, just as historic books share their home with newer ones. A bell on the front door of the library announces every entrance and exit, as readers come and go— the music of a community coming together. Photos courtesy of Timrod Library. Terri Barnes is a freelance writer, frequent visitor to the Timrod Library, and the author of Spouse Calls: Messages From a Military Life.